Product #21781 | SKU MLC-SE | 0.0 (no ratings yet) Thanks for your rating! 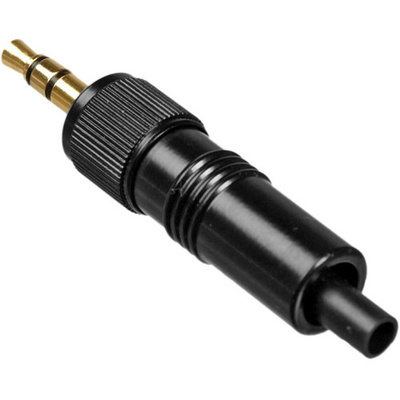 The Pearstone Locking 1/8" (3.5mm) TRS Connector is a solder type connector designed for replacement and custom wiring applications. It is compatible with many popular wireless systems including Sennheiser Evolution series, Sony UWP series, and others. Be sure to check with the manufacturers for wiring schematics. The connector comes with 3 different-sized shrink-wrap sleeves to accommodate different wires, as well as a clear internal plastic collar. Please be sure to check with the manufacturer for wiring schematics.